Increase your occupancy as well as your sales, with the Smoobu channel manager. It doesn’t matter whether you offer your private apartment on Airbnb or whether you want to market your professionally managed apartments on Booking and Expedia. For each property, there are appropriate booking channels. With us, you’ll control all of them. The bookings of booking portals will be identified and will be blocked on other portals for that period. Smoobu equally detects modification as well as cancellations. The booking of all portals can be found in the Smoobu cockpit and the Smoobu booking list. No longer worry about double bookings. Smoobu ensures that the occupancies of all portals are matched with one another. 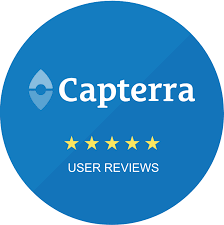 Use the advantages of the large international portals like Booking, Airbnb or Tripadvisor and supplement them with regional portals, if necessary. With Smoobu you can synchronize your prices to major channels easily. All you have to do is define one price in our software and insert your price adaptation in percentage. You want to keep your rates from any of the channels. No worries, you need to actively activate synchronization. Also, you can keep your prices and only change prices for single days, periods or specific days of the week. Are your offering your vacation rental as a house as a whole, but also as separate units? Managing this combination has been complicated and annoying. We have made it easy. Let’s say you have 3 listings on Booking.com – The house as a whole and as two subunits. The way it works is the following: Someone books the rental as a whole Smoobu will block the subunits. If a sub unit is booked, the house is blocked but the remaining sub units remain free. The great part about it, we sync the information to all of your connected channels. A channel manager automates the alignment of the occupancy calendars of different channels. Channels in our case are the booking portals for holiday apartments. If you rent an apartment on Airbnb and Booking.com and you receive a reservation through one of these this providers, then channel manager ensures that the other channels are blocked for the corresponding period. As a result, it’s no need for this to be represented on several portals. A channel manager thus enables you to expand your offers and to be represented on as many portals as possible. Once in Smoobu’s channel manager, reservations from your regular customers or in other ways will be posted; this then ensures that all portals are blocked. 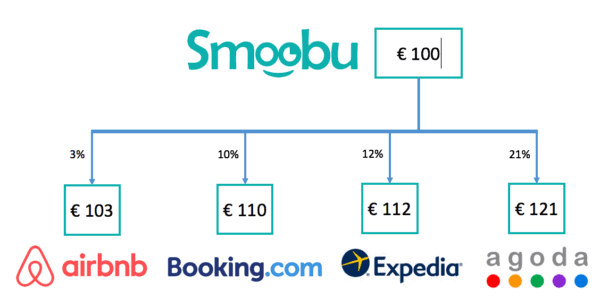 Smoobu supports the most important regional and international listing sites to rent out our vacation rentals in the most efficient way possible. Additionally Smoobu supports niche booking channels that are relevant for particular target groups. Possibilities are endless. The choice of the right channels is the key to success. In the Smoobu cockpit you can find current statistics in the usage and success of other Smoobu users. We continuously expand the number of booking channels for you. In the following list you can find our complete list of connected portals. In case you cannot find the channel you are looking for, do not hesitate to contact us and we will try to connect it as fast a as possible.